Sierra Nevada’s Dream Chaser flight test vehicle is in Louisville, Colo., where it will be assembled and integrated with secondary systems for future milestones (Credits: Sierra Nevada). One of NASA’s industry partners, Sierra Nevada Corp. (SNC), recently delivered the primary structure of its first Dream Chaser flight test vehicle to the company’s facility in Louisville, Colo., where it will be assembled and integrated with secondary systems. This is one of 12 milestones to be completed under SNC’s funded Space Act Agreement (SAA) with NASA’s Commercial Crew Program (CCP). The Dream Chaser flight test vehicle, a full-scale prototype of the company’s planned winged spacecraft, will be used to carry out several remaining NASA Commercial Crew Development Round 2 (CCDev2) milestones, including a captive carry flight and the first free flight of the craft. The all-composite structure was designed by the SNC team and built in conjunction with SNC Dream Chaser team organizations AdamWorks of Centennial, Colo., Applied Composite Technology of Gunnison, Utah, and Scaled Composites of Mojave, Calif.
“Our team now includes more than a dozen heritage space companies and seven NASA centers whose combined strength has continued to allow us to exceed the program’s expectations,” said Jim Voss, SNC’s vice president for Space Exploration. Voss is a former space shuttle astronaut and was a member of the second crew to live aboard the International Space Station. Dream Chaser’s CCDev2 flight tests will be conducted with the assistance of NASA’s Dryden Flight Research Center in Edwards, Calif., under a Reimbursable Space Act Agreement (RSAA). 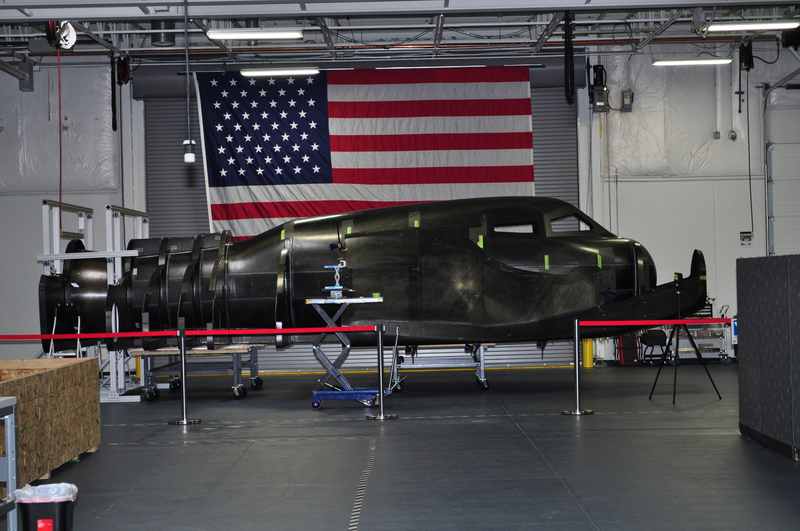 During the captive carry test, a Virgin Galactic White Knight 2 carrier aircraft will drop the Dream Chaser flight test vehicle to measure its performance. SNC flight operations will be managed by the program’s Director of Flight Operations Steve Lindsey, who joined the Dream Chaser team in 2011. Lindsey is a veteran of five shuttle missions and was chief of NASA’s Astronaut Office from 2008 until his retirement from the agency in 2011. All of NASA’s industry partners continue to meet their established milestones in developing commercial crew transportation capabilities that will ferry U.S. astronauts to and from the International Space Station reducing the amount of time America is without its own system. Below is a computer animation of the launch, docking with ISS and landing of the Dream Chaser spaceplane.